Every daily give is listed here or can be seen on our impact map. I told one of my Kindergarten monitor (a grade 7 student) how much I appreciate his commitment to his service! A pack of chocolates with a sticky note/quotation about happiness given to a friend to inspire him throughout the day. I removed outdated (holiday) information from the bus this morning and placed it in the recycle bin. At the supermarket this old lady had lots of groceries so I ask her if she needed help carrying them to her car. sometimes people think that small nominal money is not important like coins (in Indonesia). have we ever thought that small nominal money is able to earn big impact for others? Today I have talked about the greatness of our great Jacqueline Way CEO of #365give in avideo. One of the most impactful women I met in my life. She’s been incredibly helpful so far since we’ve got connected on linkedin!! I helped my sister in law to prepared a lunch for all the family. Today I went to the funeral of my cousin´s grandfather. I baked cookies and took them to my kids school. My son wrote a thank you card for his Cub Scout leader. I’m avid in inspiring people around the world through videos daily on Linkedin and this is something which I found more interesting once I met Jacqueline Way in the same platform and I hope to do it every single day for ever. Today I collected trash from a beach with a group of friends. I went to eat at shakeys pizza with my family and I tip everyone from the kitchen and the dishwasher for their hard work . I let a lady go in front of me in line at the market and also a men go in front of me in the bus . Bring in treats to someone! Day to help someone clean the house! Day to change one light bulb to an energy efficient light bulb! Day to share an environmental volunteer network! Day to tell a family member or a friend that you love them! Day to support and share the Amnesty Internacional community! Day to do a favor for someone without expecting or asking for anything in return! Call or text a friend or a family member and ask them how they are. Post an inspirational quote on a social media account today! Day to dedicate a poem to someone! Day to dry your clothes on a clothesline! Joined a campaign that aims to deliver dinners to ad many as possible old retired people who cannot afford it on Easter. Baught and sent products to the organizer. I been recycling my zip lock bags and I have a reusable bottle water which I used instead of buying pastlic bottles . Dropped off a meal to a family going through a rough time! I been making my wife and kids breakfast for about two weeks and I let her sleep in also. Tipped more than my normal 20% at the nail salon, service was as usual but I felt she was having a rough day and could use a little extra. Helped across street neighbor by putting their trash/recycling out at our place as collection had already completed on their side of street for the week! Today I convinced my son to let go of breakfast cereals and adopt healthier habits in the morning meal. I saw a homeless men on my way home without a shirt and socks . I ask him his name which is warren and I went home and brought him back socks, sweater and sweatpants. I wrote positive affirmation in rocks and set them in different places on my way to work . I also bought local and organic food iteams at the store . We bought lunch for a homeless man residing outside the local supermarket. We picked up 3 bags worth of plastic waste along the coastline in our local area to help the environment and wildlife! I bought bird food and a container to put it outside my house . Today I bought a can of formula for a mother outside RiteAid with a hungry baby. Today I went to a trampoline competition with my son gymnastic club. Day to help literacy with one click! Today we did a vegetarian meal! Day to provide kibble to animal sheltere to help them to feed their hungry cats! Day to help vaccinate children in need! Day to share a cause that supports street animals! I broke up a fight today at work and I gave beverages to the cook and preps at my job. Say no to the plastic bags! Today we don’t used plastic bags! Today we tried to help someone who needs it! Today we tryed to listen more the other people! Today was the day to read to someone! Today, me and two friends started planning a 21 days gratitude practice. Today I made a birthday cake for my son´s trampoline coach and took it to the training. Appreciated at a co-worker from a different team just because I wanted to spread positiveness. Today I m going to teach environmental issues at high school. I m a volunteer. I m going to spend my free time for sensitivization of young people on climate change. Today I lent my car to the family member. Today I cooked vegan food. I collected caps from plastic bottles for the whole year. Today I gave it to the charity for children in need. Today I gave free English lesson in prison. Today I held door to an old lady in my building. Today I said hello to all strangers I met during the walk with my dog. Today I lent a family member a yoga mat. Today I went to the grocery shop with my own shopping bag. Today I used backing soda for cleaning bathroom. Today I segregated waste like paper and glass and brought it to the special container. Today I sent supportive message to my friend who struggle with family problems. Today I bought a special filter so I could drink a tab water instead of buying water in plastic bottles. This morning I let somebody to behind me in the queue go first. I asked a homeless person what he needed from the store and he said orange juice so I got him the biggest orange juice container and gave it to him and shook his hand. Yesterday evening the sink in our apartment got clogged and there were many dishes in the sink ready to be cleaned. I immediately transferred all of them into the washer and kept a work order on behalf of my apartment. I was on my way home and my cab driver was getting a call from someone . Initially I thought it was a scam call which is why she declined it. However, the person kept calling multiple times. She said the call was from her daughter. Today, I gave a compliment to a stranger in the elevator on the way to my work about her necklace and also complimented my friend. Today I took the plastic and glass trash I collected during the week for recycling. Today while walking home I saw lots pieces of paper in the front of my building, so I stopped, picked it up and put all to the rubbish bin. Today I used my own shopping bag in the local grocery. Today I gave a free English lesson in prison. I organized dancing lessons for young men in prison so that they could have contact with people who showed them what passion means. Today me and my friend had an early flight to Italy so I prepared sandwiches for all of us. Today I borrowed my car to the family member. I was going out to throw away my trash bags so I thought I will pick up the trash that people threw away on the way to the trash chute. I helped a friend in filling a piggy bank for his little sister. HE wanted to gift her a piggy bank and make sure he fills it with coins. Today, I decided to really waste less food. Today, I helped my friends in mathematics to enable them to pass their exams. Today, I gave money to the association “ piece jaune” and I talked with a woman in the association. Her job was to sing with her guitar for the children in hospitals. Today I decided to have again a vegetarian day. I ate rice,tomatoes and humus for lunch. As always, I get back the sheets of draft of my parents’works. This is what I did today. Today, it was my vegetarian day, so for lunch I ate a soup. Today, I decided to stop using plastic bags for the environment. Today, I posted again letters for my mother. Today, I posted letters for my mother. Today, when I was in the bus, I helped a disabled person to get off the bus. Today, I put 2 bulbs for recycling ! Today, I gave money to a homeless woman in the subway. Today , I gave money to a homeless man. Today, I got off the bus and a woman was running to get it. So I prevent the bus from leaving. Today, I was in the bus and a woman tried to get in the bus but she had a lot of bags with her so I helped her with her bags. Today, I gave clothes to an association. So as I already say I decided to eat each week at least one vegetarian lunch to reduce my consomption of meat. So today for lunch I ate a salad with tomatoes, cucumber and carrot. So good ! Today, I took two waffles with chocolate and I was fool with just one so I decided to offer the last one to a homeless man on my way. Sent my sister a gift because I wanted to send her. We started to recycle plastic to help the world be a better place. Today was the day to share a lunch or a snack with someone! Today I bought a Fathers Day gift for my kids give to their father, my ex-husband. Today, I made breakfast for a friend who isn’t well. Today we take a moment to appreciate the sunset! Today we try to help a student by helping him/her to do their homework! Today we try to save energy! Day to send a message to a old group of friends (or to only one)! Making order at office to recycle papers and plastic. Watched the TED video while having breakfast. On the way to work, a man was calling out for all passer-bys to donate to the Boys’ Town. Walked over and dropped a dollar into the box. I saw a man at a traffic signal begging for money. It was really cold outside and raining. I gave him some money and bread because he was old and standing in such harsh weather. After many times buying a new plastic shopping bag, today I finally put my own shopping bags into my car. When I go to supermarket I do need to ask a new shopping bag anymore. I went out for shopping. The sun cheered me up and I thought about Eleni that is working in the neighborhood. I chose to go to a super market a bit further so I will pass by her. Today I helped my son preparing for a Geography test. I have invited a neighbor at lunch. He is 71 years old, and alone. It is a good way to speak..without feelings of lonely, that is why it does not matter really what you cook. Day to use both sides of your paper before we recycle! Play and feed hungry people! Play and feed hungry people with rice by using this website http://freerice.com/#/english-vocabulary/4542. Today I prepared a dessert and a salad for a friends´lunch. Bike, walk or take public transit! Today was the day to bike, walk or took a public transit instead of use our own car! Today was the day to let someone (a member family or a friend) choose something, like place to eat! Today I contacted a group of old friends to try to schedule a trekking activity in the next weeks. Day to use reusable bottles! Today was the day to provide pet food to shelter animals! I brought my clothing donation bag to the centre. Ty card to my branch manager for being awesome. Today we “fight” against domestic violence! We share organizations that support the victims and we write texts to inspire! Today I went on a group OM chanting session to search for inner peace, cure for a chronic pain and to help stable the energy of the my surroundings. It was very windy and rubbish collection day was coming up. Some rubbish was therefore flying around at the side of the street, so I picked it up and threw it away. Today I spoke to my sister on the phone offering my support on her new healthy lifestyle and tell her not to give up and also made her laugh. Today was the day to offer flowers to someone! Today I took the organic trash I collected since the weekend to my son´s school where they a composting bin. I bought a present to my little sister. I gave e flower to a colleague of mine to start the week in a good way, she didn’t expect it. It was nice to see her soo happy. Today was the day to smile at everyone we talk to. Today while standing in the queue in the grocery shop I let a lady to go before me. Today I gave a free English lesson in the Prison for young men. Today I held door for an old lady in our building. Today when I went through the hall at the Uni I saw a piece of paper on the floor which was ignored by all so I picked it up. Today I brought some clothes to the charity place. Today I shared in my Facebook and on a private group, the art work of a Portuguese environmentalist that collects plastic from the beach to build art pieces. Today I signed multiple petitions that I found important to be apart of! Today was the day to take a 3 minute shower to save water! Day to thank a teacher, a friend or a colleague! Today was the day to hold open the door for someone! Today was the day to sign a petition! One time my mom found a sick squirrel so we brang it to the vet and then the vet said we could keep it in a cage for a little while and we could watch it. Today I took a very fast shower to save water. I gave away some new chili plants to a friend so their life has some spice to it. Today I invited my boyfriend and his son to have lunch at my place and we all played, painted and ate in peace. Today we gave food to abandoned animals! Today I gave used clothes to the charity. I switched all electronic devices in my household during the night. Today I saved water by not taking a shower and using a washing machine. Today I segregated paper, used batteries and broken mobile phones and brought to the special containers. Today I went to grocery and used my own shopping bag. Today I held door to the stranger in my building. Today I bought a big 5 L bottle of water instead of 5 smaller ones. Today I helped friends by their moving. Today I gave back some clothes to the charity center. Today I will prepare a vegetarian dinner for two longtime friends! Being grateful for those who dedicate their lifes to the country! Write a letter to a veteran or someone currently serving in the military. In my town there is a fridge in which people can leave food for those in need. Today I went there with my son and left some yogurts. I brought some red flowers to class to give my students more energy – only three weeks until the final exam! I planted some colorful flowers in the front garden so my neoghbours have something pretty to look at when they walk past. Day to offer a snack to a homeless! Teenager working at the car wish. Gave him a tip. Today we donate clothes to the poor! We will put the plant out in the sunlight and pour water. Give it a lot of sunlight. Tear off faded flowers so new ones can grow! Today we visited the old people who can’t leave home! This activity has always been my idea and passion, and in fact I quite often do a give or contribution, but after watching TEd Talk today I got inspired.So I decided to join the site and do it more consciously. Today I recycled plastic. Today is the day to write a friend a note of gratitude! We made a book swap! Today was the day to treat poeple the best we could and compliment them! I helped my sister yesterday. She was walking upstairs. I got ice for her foot. When my sister lost her earring, I found it for her. I dropped off some school supplies for Emily, most of all some stickers. Yesterday helped daycare. We were being kind to others. Telling them nice things. Today, we bake some cookies and cakes for those we love and care about! Today we did the recycling! We went to make cards for kids. And gave it to them. Today we had a free hug day and we tried to give a lot of hugs! I sent an email to my local school superintendent explaining the 365give program and its benefits. Which then hopefully will lead to this program being introduced into our local school system. Today I didn’t take a shower to save water, also switched off washing machine and dish washer. My daughter was very busy gave me cash and asked me to put it to her bank account. So I went to the bank and spent 30 min in the queue to help her. Today I segregated waste and brought used batteries to the special container in the grocery shop. Today I went to grocery shop with my own shopping bag. My nephew lost his cat so I visited him and played games together to cheer him up. Today I gave lift to my friend and my daughter. Today I organized shower baby for my friend, invited her family and other friends. Today I gave free English lesson in Orphanage. Today I segregated glass waste and brought it to the special container. Today I used my own shopping bag in the grocery. Today I said hello to all strangers I met during my walk in Forest. Today I said some nice words who helped with my jacket in the cloakroom. Being grateful for those who save our lives! Today is a day to thank and / or make donations to the fire or police station in our area, in our case today we are publicly thanking everyone who risks their lives and we begin to plan ways to help them! Today was our first giving day, we collect garbage from our village, especially near the river! We made others feel happy. We gave cards to teachers. The teachers were soooooo happy! We were picking up trash outside. We made a card for Mrs. Katie and we gave it to her at lunch. Today I bought 5L bottle of water instead of 1.5 L to save water and didn’t take a shower. Today I helped a friend with new job offer. I cooked, washed the dishes and took out the trash. Today in class, S14 brainstormed some ideas of potential gives that we could do for the world. I was going for a walk with my mum and we seen a baby kangaroo and it had an injured leg so my mum and I took it to the vet. Put away the dry dishes and then washed the next lot because mum isn’t feeling well. Collected the washing then hung out the next load for mum who wasn’t feeling well. Collected up and threw out all the rotting pegs from the ground and pegged the good ones back to the clothesline. Today one of the girl at the Uni complained about headache. As she didn’t have time to go to shop to buy painkillers due to exam, I offered her help and went to shop to buy it. Today I donated some money for the organization who helps homeless animals. Making a presentation for my colleague’s son. I brushed and played with my cousins dog who has trouble using his back legs. Gathered a few old blankets and towels and a comfortable fuzzy mat, plus items like a dog frisbee and some rubber chew toys and a bag of treats. Left it all at the local shelter. I smiled to one women on the street. She smiled back. Sent my sister a letter. I visited my grandma, who is always really happy to see me. Today I picked up garbage along my way. It took no time at all to fill a medium-sized plastic bag. It felt great to see the trees and bushes free from all that plastic! Today my mom had an urgent meeting so I decided to replace her in her shop so then she could go to her meeting. I listened to a friend’s problems who was sad, hung out with her, and bought her treats. My mom has a shop near my home, where she works all the day long, so today I helped her to do the annual stock of her shop. My son and I went a picked out underwear for an underwear drive that the local library was hosting. My 4 year old picked out girls underwear, size 4-5t and dornated them today . He is starting to learn the meaning of giving . My son and I donated blankets, jackets , gloves, food and our Christmas tree to helping hands . I donated money for the homeless on Denver, and gave a blanket to a homeless woman. We brought a pie to the local firehouse. Signed a Petition to stop a circus using tigers as props and keeping them in cages. I played an online game that was completely free but every time you answered a question correctly you donated 10 grains of rice to someone in need. I donated over 6000 grains of rice. Today I cooked vegan food for my family. Wished family & friends (in person, via call, text, FB post), especially those that lost loved ones last year, a joy-filled Happy New Year! My daughter and I were entering a supermarket and we saw homeless man sitting outside of it with his dog. We bought him a sandwich and some nutrition bars and give it to him. He was very happy and was talking to us. My 10 year old niece is saving for her boat fare on April so that she can attend the graduation of my cousin. Went to a small local park and picked up trash for 30 minutes. the bread is intended to the old blind man but my husband said the woman beggar is his wife and i gave the pack of bread to the woman. Today I have been very supportive to my friend as she needed me. Today I spent great day with my mom, actively listening to her and showed her my appreciation for all she did to me. Today I spent great day giving my dog lots of love and her favorite food. Today I let my mom stay in bed the whole day and did all things she could relax and read book. Today I donated money for the charity. Today I spent beautiful day with my mom who came to visit me. Today I bought motivational books for boys in jail as Christmas presents. Today I met my friend I told her she looked beautiful. Today I went to university and as I could not use my own cup I limited hot drinks to one. Today I fed birds who come to my balcony. Today I taught English in orphanage. Today I visited friend who needed to talk and we spent nice afternoon together. Today I picked up garbage on the play ground. I give food to an old man who is homeless. I’m new in a job and sir Gilbert David is always there for my needs. Sent a text appreciating a friend. Helping my 11 year old niece. I send a best wishes to my girlfriend, with purpose of making her smile. I’m tending the store for half day today while their worker is attending the sunday mass. Yesterday I asked my cousin to buy a bread for the street children in Maasin City. I cant personally give them coz im in an island. I gave some bags of food to two different homeless people. I donated money to Denver Rescue Mission. Today I said “Hello” to the strangers I met during the day. Today I spent lovely day with my dog. Today I bougth a raffle to help a organization and a friend. My friend had a surgery few weeks ago. I wanted to visit her as soon as I knew about her surgery. I got busy with so many things and couldn’t do it till today. I tool a tart and 2 nice scarves as a gift. Tonight we made a faces contest during our meal. We shared laughter and gave each other love and complicity. First day for us into the challenge ! My strength is business and I have wanted to get involved w a pantry for a long time. Yesterday i did! Going to write them a new “business” plan to generate more donations and help more people. Woo woo! Today I offered and sent my audiobook “Creativity” to the person who I didn’t know. My first giving was yesterday when i see maid in office who i know she is having hard time in her life and doesn’t know what to do! I suggested her to talk with consult and i pay for her. She feel much better after that! I chose NOT to consume animal’s products for the rest of my life. Today’s give was bringing blankets to our local animal shelter and volunteering our time with the cats. We love doing this – the cats make us happy. Today I gave some money to the young man who played music on the street. Today while being at the University I saw a paper on the stairs, so I picked up and put it to the bin. Today I bought take a way coffee using my own cup. Today I picked up my brother in law from another town and brought him home. Today I used my own shopping bag. I refused to take shower today to save water. Today I gave English lessons for kids in Orphanage. I bought one big 5 Liter bottle of water instead of small bottle to reduce plastic waste. I emailed a few of my co-workers and it’s paying off already! In fact one of the girls and I are going to fish a big, white plastic bag out of the pond on our property today at lunch.  I shared 365give.ca on my Facebook page and will keep sharing it! I am always aware of my surroundings and looking for trash to pick up where I live. I smile at everyone when they first come in. I unplugged all electronics for the whole day. Today I offered my help by carrying groceries to an old lady. Today I used my own shopping bag at the store. I took empty grocery basket and brought it to its place. Today I sent a text with gratitude to my friend. Today I turned off water tap while brushing my teeth. During the walk I said hello to all people I met. I brought my clothes to the local charity. I told my daughter that I very proud of her and that she is very brave person! I refilled my bottle with water instead of taking a new one. I brought towel and water to my daughter after she finished diving. I used the same bottle on the boat and just refilled it. My daughter was diving again as we spend the whole week on red sea so I helped her by preparing her suit that she could wear it easier. The whole day I used one bottle and refilled it after I drank all. While my daughter was diving I waited for her with the towel that she could dry herself. Indo no poço da folhinha, uma trilha do parque das andorinhas em Ouro Preto, peguei uma lata de cerveja jogada no caminho. guardei para jogar no lixo. Ajudei a Jaque (colega da outra jaque, faz serviço social) e abrir o cadeado do seu armario na bbt, ela tinha trancado a chave dentro. A talita é minha amiga da graduação e me pediu um favor, ao qual eu ajudei. Eu arrumei o sumário da monografia dela para a Talita. I helped a family not miss their plane to Disneyland. While walking my dog on the property where I live, I picked up another dog’s poop that someone left behind. It wasn’t pleasant but I felt good I did it! I did not photograph it, lol. I was out walking the dog and picked up garbage along the way. I spoke to a good friend of mine yesterday. She mentioned she is struggling with trying to maintain her home with pets hair from her aging dog, while working full time and raising 2 small children. I resourced and purchesed a pet hair easy removal tool on Amazon and had it delivered directly to her address. She has no idea she will receive it. I brought all the recyclable trash to the Green Point of the neighbourhood square. Today I pulled over my car as I saw some group of young people hitch-hiking. I took three girls to my car and drove them to their place. I helped my daughter’s girl scout troop create a poster and decorate sample napkins for a school wide initiative to create custom cloth napkins for our 200 local meals on wheels organization. I gave my mom a hug and told her I love her very much. Even though you don’t want your old clothes anymore, it’s almost guaranteed that someone else will. There are many people in need of usable clothing. There are disaster victims, underprivileged people, and children in need of clothing, and your donations can help. As i am on holiday renting someone’s house I swept the walkway and stairs and cleaned poops from the grass. Today I walked and played with neighbor’d dog as they were busy working. We were hiking in Jasper and had extra granola bars that we shared with a fellow hiker that had been hiking for 10 + days and looked like he needed some extra food for his hike. I set my search engine to GoodSearch, a search engine in which donates money to a cause of choice-my local Adopt-A-Pet. I was traveling across Poland and on the petrol station I saw homeless woman in very bad condition. I gave her some money for food. Today I let someone to go before me with his shopping while waiting in the queue.